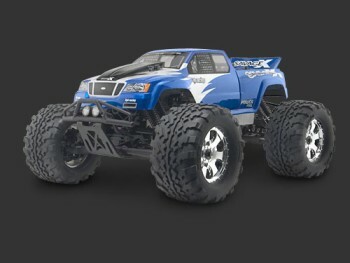 Customize your HPI Savage X with this clear version body shell. This is a factory body designed to fit the Savage X truck perfectly, with provisions for the shock towers, engine and exhaust. Add your own paint job and you're ready to race! The differences between the Savage 25 bodies and this new Savage X body are the noticeably wider fenders with squared-shape fender well openings, taller hood cowling, and rear deck bracing. Yes, this new Savage X body will fit any Savage.